AFTER years resisting restructuring its cash-hungry Rustenburg shafts, Impala Platinum (Implats), under the guidance of CEO, Nico Muller, has resolved there’s no time like the present. Hence his decision – 15 months into the job – to grasp the nettle and unveil a two-year downscale of which most hard-headed business would approve. The Rustenburg shafts are leaking cash. The R2.7bn required to push through the restructuring pales into insignificance compared to the R10bn in convertible bonds Implats has to honour by 2022 – capital raised to keep its ship afloat during the period of denial: hoping the platinum price would revive and save the day. Muller doesn’t think the platinum price will recover soon; more likely in four to five years when there’s better visibility on platinum’s use in autocatalysis and the take-up of electric vehicles in places like China and Europe is better known. The problem for the South African government, however, is that the restructuring, potentially affecting 13,000 jobs, couldn’t have come at a worse time, especially for the Rustenburg region which is already having to contend with the 12,000 jobs being cut at Lonmin’s facilities. With national elections no more than a year away, this all spells bad news for the African National Congress, especially as the urgent need to address the payroll stress at Eskom bubbles worryingly in the background. According to data produced by the Minerals Council South Africa and the DMR, South Africa’s platinum group metal industry shed 13,445 jobs between 2012, when the effects of the commodities sell off began to make its mark, and 2017. The restructuring at Implats and Lonmin could potentially remove the same from the industry over the same period. Losing nearly 27,000 jobs – equal to 13.5% of the total in 2012 – is a clear indication of an industry in need of a massive shake-down. The labour-intensive mines of the Western Bushveld are creaking as resources lie at deeper levels and at lower grades. Better to shift attention to the Eastern and Northern Bushveld, and even Zimbabwe, where the business prospects are more attractive. The Government is desperate, however. Its insistence that Implats adopt Section 54 of the MPRDA which is a more circuitous means of restructure than the 189 process of the Labour Relations Act which allows Implats to act with immediacy is illustrative. It foillows a similar call by it on De Beers which has agreed to a last gasp, 30-day search for possible bidders for Voorspoed, the exhausted diamond mine De Beers has resolved close. De Beers spent the best part of a year looking for suitable buyers, but there were none. Government wants it to scrape the barrel; anything but lose jobs. At the time of writing, the Association of Mineworkers & Construction Union (AMCU), Implats’ largest recognised union, is yet to weigh in to the debate. But tensions are high on organised labour front. The National Union of Mineworkers has interpreted a reluctance by gold mining companies to yield to their wage demands as an act of war. Of course, the backdrop to these events is the all-important negotiations between the DMR and the Minerals Council on the redraft of the Mining Charter. According to one source close to the Mining Charter negotiations, the worrying intelligence is that whilst intentions are good, and the spirit cooperative, there’s been little to now progress, especially as ideological differences are the sticking point. 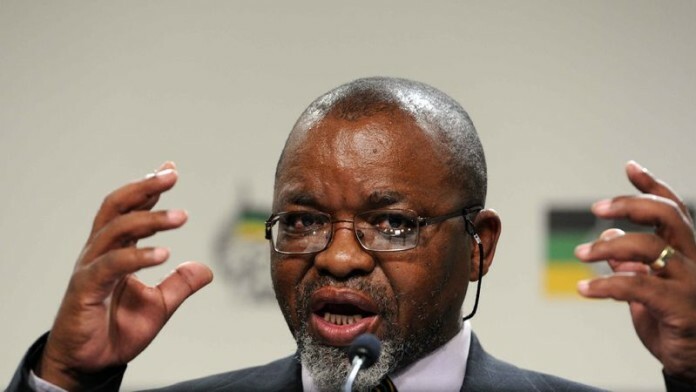 But if mines minister, Gwede Mantashe, can take anything away from the Implats restructuring, is that when internationally funded capital is at risk, there’s no room for sentiment. This should be born in mind because when business warns the Mining Charter in its current format will drive away capital, that’s probably what’s going to happen. Gov wants it both ways. Transformation and investment. Same with industry, they want a stable regulatory system with limited discretion to Gov and investment. No one is going to give in. We all know that. And it will lead to the end of mining in SA. 1: Transformation: forget about all the community, essops and entrepreneurs formula and proposed shareholding. 30% goes to the State owned mining company. Finish en klaar and applicable to all new rights. 2: SLP LED projects. Municipalities determine LED projects. Empower them. Annual Committed LED funds get paid directly to Municipalities in a dedicated LED fund. You may ask. What about corruption? And my answer is: government also has systems of accountability. Let them use it. Face it, mining conpanies are not able to implement SLP commitments… most of them can barely mine properly. Let these commitments be implemented by local government. Thus mining companies will only be responsible for the HRD part in the Charter, which should be manageable. Maybe some of my ideas are just stupid or at best idealistic. But we need to start thinking out of the box and believe me the Chamber or whatever they call themselves will not solve the problems we are facing. They are only representing a chosen few. Well done Nico Muller! It’s not easy to have balls in this space! What politicians don’t seem to grasp is that jobs are created by capital. Capital requires a return and if it can’t get it, it migrates! Simple! ALL stakeholders need to come to the party to save jobs, it’s not a case of WMC making money at the expense of others. When the company makes a profit, ALL stakeholders benefit. Hopefully they keep this in mind with changes to the Charter. 1. How can I make it easier for me and my family to get our hands on millions of dollars dressed up as BBBEE? OH YEs, then we throw in ¨expropriation without compensation¨to distract the masses from the massive theft going on…. Give back the mining license if in your hands the Mines are not sustainable. After all, the mineral resources belong to society, not to a company. Actually, the resources would not have been discovered and converted into a resource if the company did not do the (very expensive and technically complex) exploration…. If you keep saying the mineral resources belong to the country, no one will invest in explorations and the minerals will remain undiscovered forever. The government has neither the funds nor the skill to do exploration. Even the Chinese will want certainty of tenure before they do exploration… So please stop telling uneducated people that the minerals belong to them…. You are lying to them, creating unrealistic expectations that will never be met…. Don’t mislead people, this does not only apply to South Africa; the mineral resources belong to society, in any country, regardless of who discovered them. They must be exploited responsibility for the benefit of society. If they are never discovered they are not classified as resources….